I was born in Barcelona and I feel fortunate to have lived in six different cities and to have traveled to about 35 different countries in America, Africa and Europe. My passion for rugby, and being able to speak four languages, helped me as a volunteer at the 2016 Olympic Games, working with a team from Fiji. Now I'm focusing on my studies in Spain, and playing rugby on the university team, and when I have time, I like to dive. I have also collaborated with an NGO that works to improve the sanitary conditions of the local population in the Brazilian Amazon. Ignacio is an international student who wanted to study in an environment environment that is as cosmopolitan as his personality. 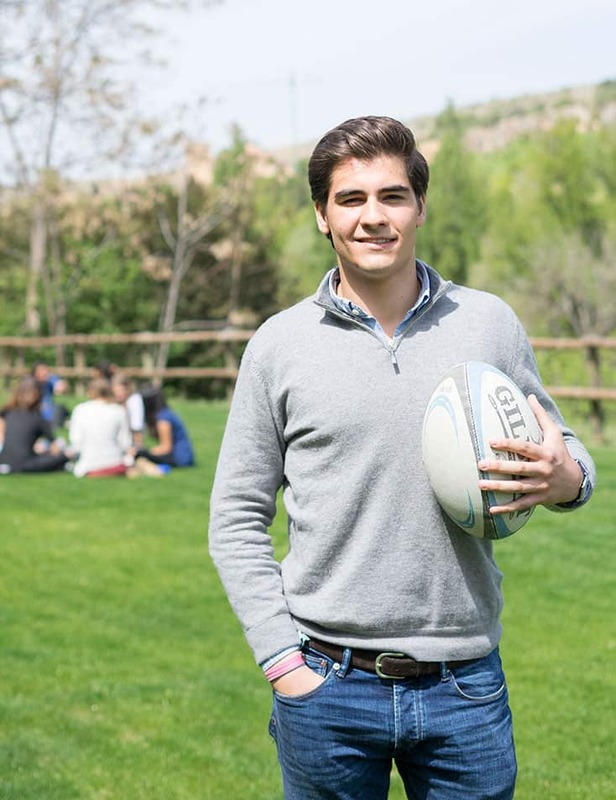 He is completing the double degree in Business Administration and International Relations at the IE University campus in Segovia, where he has been able to continue practicing his favorite sport, rugby.